While most football pundits are favouring Tottenham to come 4th in this year’s premiership, it is far from being a certainly, and there are plenty of reasons for it not to happen. Although currently Spurs are playing very well, for instance they recently drew with Manchester United who they dominated throughout the game. Currently the best odds on Everton finishing in the top 4 are around 8/1 with some bookmakers posting longer odds of around 5/1 or 6/1. This is a good price if you think Everton can pull it off. It would seem more likely that Everton will finish in 5th or even 6th place, and the odds of the club ending up in the top 6 are 9/13 or a little shorter. Again this is not a bad price and probably reflects the actual probabilities quite well. Bookmakers are very good at setting sports betting odds, though they are often outsmarted by sports betters who use their in-depth knowledge to beat them; in fact this is where sports betting is a little more predictable than casino betting where luck plays a more important part. Not all casino games rely on luck. Blackjack requires a reasonable level of skill to optimise your winning chances and if you play poker games at online casinos such as http://www.jackpotcity.co.uk/online-slots/ then you will know how good you need to be at the game if you are going to be a consistent winner. Of course you can also play some casino games that don’t require all the skill and devotion that a poker player needs and a great football related slot game that is highly entertaining as well as paying out some big jackpots is soccer safari slots, especially if you have a good sense of humour; most of the football players are wild animals. 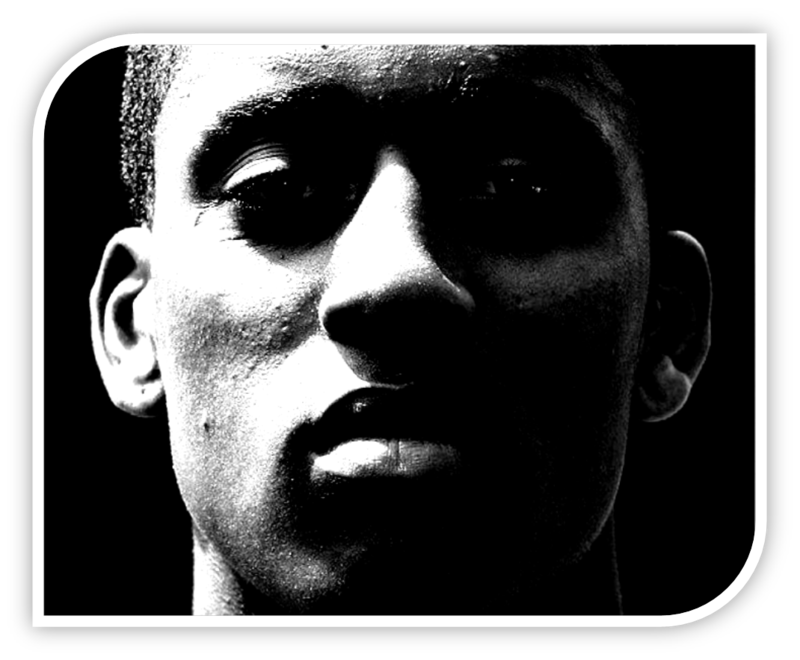 Scout Report: Leroy Fer – The New Vieira or Nyarko? Today the club announced that Dutch international Leroy Fer was on the verge of an £8m transfer to the club. The Twente midfielder has been described in some quarters as ‘the new Patrick Vieira’ although former toffee flop Alex Nyarko received the same billing prior to his move to the club from Lens in 2000. This quick scout report will give us a quick synopsis of the key strengths and weaknesses of the energetic midfield enforcer…. Firstly, a quick timeline of Leroy’s career to date in his words…. The Dutch International is a product of Feyenoord’s youth academy, making well over 100 appearances during his stay in Rotterdam where he scored 14 goals. 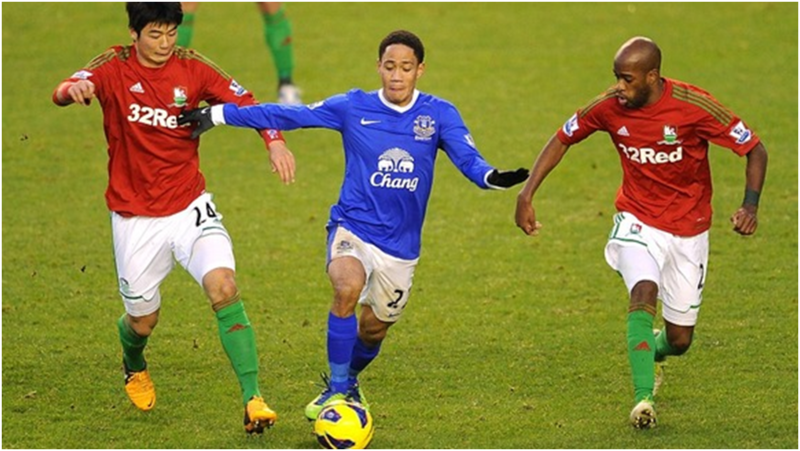 Leroy was clearly sad to leave his boyhood club…. Leroy has been true to his word; since returning, he has been mustard for FC Twente this season with 9 goals and 2 assists from 17 starts. So, what does he bring to the Toffees? Moyes has been after a physical midfield enforcer for a while with failed attempt to bring the likes of Nzonzi and Vadis Odidja Ofoe to the club back in September. Indeed, Moyes has scouted LF for almost three seasons. Leroy is a similar type player with a good physical presence and dynamic box to box energy… much needed skills in our midfield which looks rather mono paced and lacking a pressing force since Fellaini was deployed further forward. He is comfortable on his left or right foot and is dominant in the air, unsurprising given his leggy build and standing 6ft 2inches tall and befitting of a man nicknamed ‘The Bouncer’ . At Twente he has been mostly deployed on the right of centre of a 3 man midfield with Twente usually turning out in a 4-3-3. He hasn’t been deployed specifically as an anchor nor has he been used in the advanced position where Fellaini is deployed, more so somewhere in between these roles as a number 8. He is a solid player who does the simple things well although he does have a swagger about him with a back catalogue of quality goals and assists aplenty, with a career average of a goal every five games. His disciplinary record – as with Odidja Ofoe – looks a tad iffy with 27 yellow cards from 131 starts although playing the role he does in the heart of midfield this perhaps goes with the territory. Finally, EB dropped our Dutch contact, the influential Dutch tactics site 11tegen11 – who has analysed numerous Twente games in recent times – a line to put some meat on the bone to what toffee fans can expect from our prospective new signing. This would pretty much fit in with our earlier conclusion that Leroy’s arrival is to plug the energetic, ball-winning gap in our midfield engine room that opened up when Fellaini moved further forward. Regaining possession and moving the ball on to wide areas will most likely be the key role he will be expected to deliver. So there you have it….an interesting addition to our squad…..plus I resisted the temptation to make a Fer pun throughout. Double-win. In the reverse meeting at the Hawthorns earlier on this season we struggled badly to break our hosts down with West Brom putting in a superb defensive shift to shut down our left side in particular. On average Baines/Pienaar create 6 chances per game, however in this fixtures the duo could only muster one chance each from open play. 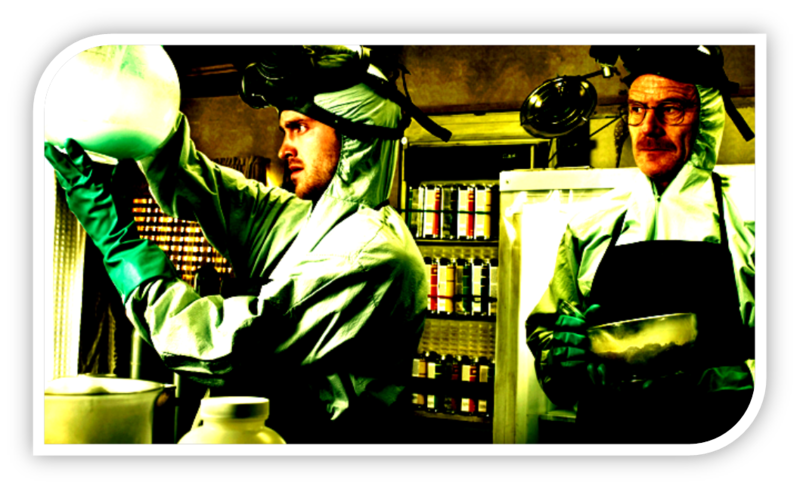 This week’s preview will specifically look at the Baggies defensive unit and how we can break them down…. Away from home the Baggies have lost more than half their fixtures and have conceded a fair few also. Overall, they have made the sixth fewest errors and the seventh most errors which have led to goal with Mc Auley (2) making the most mistakes. 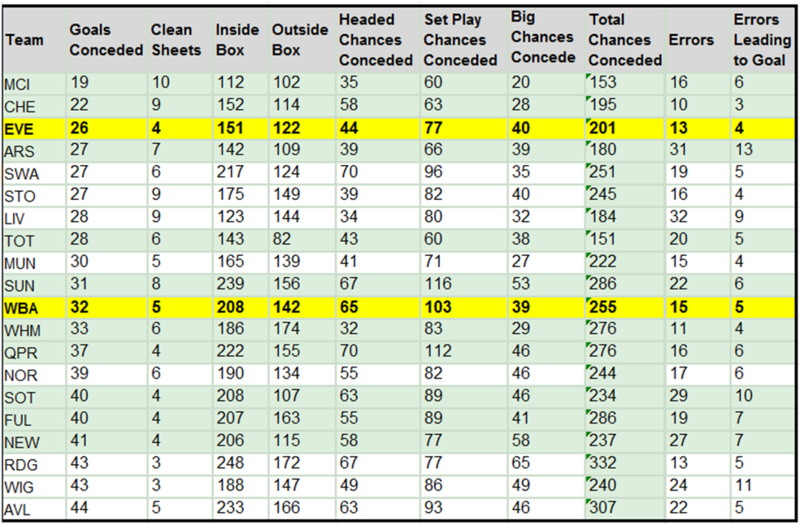 Our visitor’s have conceded the seventh most chances and the 12th most ‘big chances’ i.e one on ones. In terms of defending the ball into their box, they have conceded the 3rd most chances from set plays and have conceded the second most crosses in the league from their left flank. Top flight defensive data 2012/13…..
International man of misery Steve Clarke has been schooled by some rather crafty cats in the management business. During his time at Chelsea working for Jose Mourinho, Clarke clearly absorbed a few tricks whilst also heading lessons learnt during the masterclass in how not to manage from the mumbling, bin-bag wearing, conspiracy theorist Kenneth Dalglish. (Control the space down the left subtract Fellaini impact via bullying + Exploit Set Piece Defensive deficiencies) = Minimum 1 point. How WBA snuffed us out…. In short, the best way for us to exploit this kind of operation is quick shifts of play from left to right – potentially to Mirallas – although its unlikely the Belgian will be fit after his latest injury. Fellaini ended up back in midfield last time after losing his cool and his personal battles across the pitch. Fellaini is at his best when there is a weak opposition defender who he can bully, usually a physically limited specimen deployed in the full back zones. With Reid likely to be out, the only personell change to the defensive unit from last time will be the inclusion of Billy Jones at tight back, who appears weak in the air judging by the below detail…something Fellaini could exploit. That day WBA had Reid and Ridgewell in the full back zones, both stand 6ft tall and with Fellaini’s aerial threat neutralised, he struggled to impact the game. One of Moyes few options is to drop him back into midfield like against Bolton and maybe have Osman floating which would give us better coverage between the lines and precipitate a more fluid passing game and not the aerial battle that McAuley and Olsson will relish. This will be a really tough fixture against a well drilled outfit, but if we can unlock their rigid shape I’m hopeful we can bag a much needed three points. The Toffees’ visit to Southampton on Monday night has become something of a sideshow after our host’s manager, the poetry enthusiast and former Scunthorpe physio Nigel Adkins, was unceremoniously dumped onto the unemployment slag heap and replaced by the Argentine Mauricio Pochettino. As a player, ‘Mo-Po’ will be best known to us as being the victim of a St Michael Owen dive during Ing-er-lund’s exit from the 1998 World Cup. His previous and only managerial ‘assignment’ was at La Liga outfit Espanyol, finishing 11th, 8th and 14th in his 3 seasons at the helm but who left with the club at the bottom of the table. Hardly great stock then unless Guillem Balague is your assigned PR guru. Moyes is a registered info-file and the idea of this unknown quantity in the opposition dugout will be a slight worry. 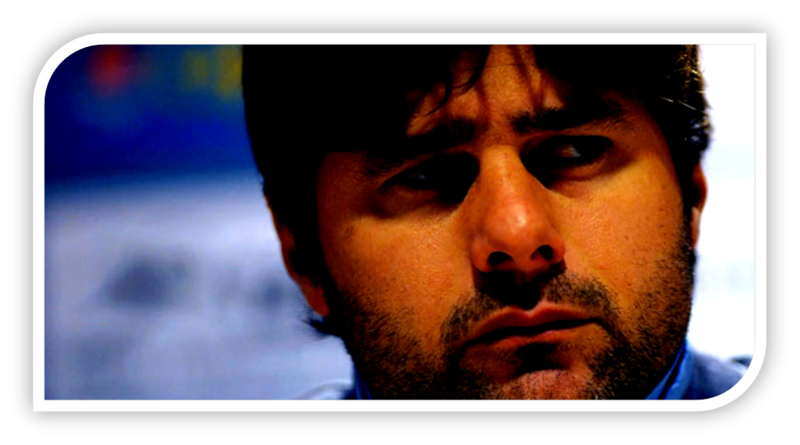 By all accounts Pochettino’s appointment has been in the pipeline for several weeks so its likely he has been watching the side and will have some ideas, but given the time he has had on the training ground, coupled with his inability to speak any English its more likely there will be only tweaks to the Adkins side/ general approach. Hopefully he will try to initiate wholesale change immediately and it’ll blow up in his face. The Saints are very easy on the eye and comfortably the most watchable of the sides who gained promotion last season. Their approach is similar to Arsenal given that they play a short passing game, will rarely put the ball ‘in the mixer’ and will look to make through passes rather than engineer crossing situations. They have some classy players who like to attack predominantly through the middle such as toffee fan and stand out performer Adam Lallana (who misses this game through injury) record buy Gaston Ramires and the under-rated Rickie Lambert. None of this attacking trio has much pace and as a consequence the Saints haven’t scored any counter attack goals at home with 10 of their goals coming from open play, 4 from set pieces and 1 from the penalty spot. They have great energy in midfield where endurance man Morgan Schneiderlin has made more tackles than anyone in the top flight. Southampton’s pressing game has seemed a tad more physical in this respect since the earlier game at Goodison with more tackles made per game although they still register amongst the fewest fouls in the division. When we met up last time at Goodison the Saints were conceding on average 3 goals per game and resembled a real soft touch despite their capacity to score in every game. They have tightened up a tad in recent times with just 8 goals shipped in their last 8 at home but with just three clean sheets all season, the joint lowest with ourselves, its unlikely they will shut us out….just as its unlikely we will keep them at bay. Defensively they have made the third most major defensive errors (29) in the top flight with only Arsenal (30) and the RS (32) having committed more. Of these errors, ten have led directly to goals which is the third most behind Wigan (11) and Arsenal (12). The guiltiest parties for committing these errors are chuckle brother defensive duo Yoshida and Fonte who have accounted for 1/3 of these errors. This is perhaps why Everton ‘target’ Vergard Forren has been recruited. Unconfirmed reports about Forren’s scout report from Alan Stubbs documented Forren as being ‘slower than Tony Thomas with the acceleration of Mitch Ward’. The Saints situation isn’t helped by using three keepers; Boruc, Davis and Gazzaniga with the former Celtic ‘stopper’ the current incumbent of the number one shirt although he looked anything but a ‘safe pair of hands’ in their last home game against Arsenal. Rodrigues played wide right against us with him and Lambert doubling up on Baines when in possession in a ‘box them in and make them play long’ type strategy as shown below. The Saints contained us well early on and this pressure led to us forcing play too much with long balls which frequently went out of play. On the sidelines Moyes was agitated and pleading with his side to be patient and they duly responded with 3 goals in a whirlwind 25 minute spell prior to half time. 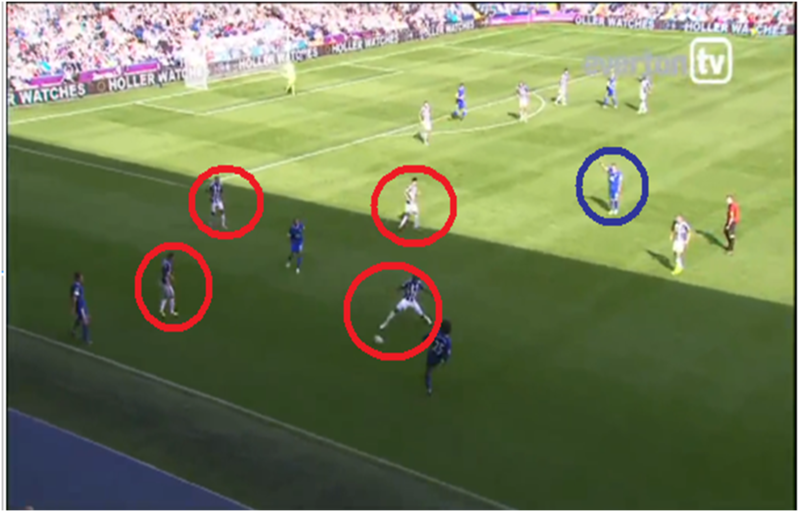 Coleman/Mirallas 2 v1 ‘s (above) on the right side was crucial that day, creating 8 chances to Baines/Pienaar’s 6 with Southampton’s full backs repeatedly exposed. The Saints lined up 4-3-3 against us last time but have been deploying 4-2-3-1 lately. Boruc will most likely start in goal with a back four of Clynne and highly rated Shaw (full backs) with Yoshida and Hooiveld in the centre backs slots with Fonte an injury doubt. Cork and Schneiderlin will anchor midfield with Puncheon – a direct player who will shoot and dribble frequently – on the right with Rodrigues on the left but predominantly cutting inside. Lambert has been lazily pigeon holed as ‘the new Grant Holt’ by media biffs, ridiculous given his superior talents; the forward has created 44 chances for team mates and can score all kinds of goals as he has demonstrated this season. Lambert can play as a 10 or 9 and for this one I’d see him playing as 9 with Ramires at 10. In terms of the Blues, It’s unlikely Mirallas will be fit for this one so Victor Anichebe – who seems to be more effective away from Goodison – will continue as a makeshift right sided midfielder with no changes expected from the side which drew 0-0 with Swansea last weekend. Better the Neville you know? With Tony Hibbert injured, Leon Osman in the form of his life and Everton sitting fairly pretty in 5th, there’s a distinct lack of negativity about the place and little seemingly blue to talk about. We’ve all come to appreciate Darron Gibson and what he brings to the side, so when Cap’n Pip trundles into the midfield breach the boo boys like to target him. Usually by making comments about poor passing, pointing a good game and ridiculous rallying cries. He’s better at right back, surely? Why doesn’t Thomas Hitzlsperger get more games? A lot of people are so desperate to get Neville out they’ve already signed Vadis Odjidja Ofoe in their minds and installed him in the team. Not that they’ve ever seen him play of course but he can’t be any worse can he? Francisco Junior v Leeds anyone? Hitting the topic with a stats hammer is probably not going to change any Neville boo-boys minds, but I’ll have a go anyway….and obviously only using data from games when he’s played in midfield. First up, there’s the assertion that all he does is pass it backwards and sideways. This can’t be denied. According to the excellent Stats Zone app Neville passes to Jagielka more than any other team mate. His next favourite ball is a shuffle across to Coleman at right back. 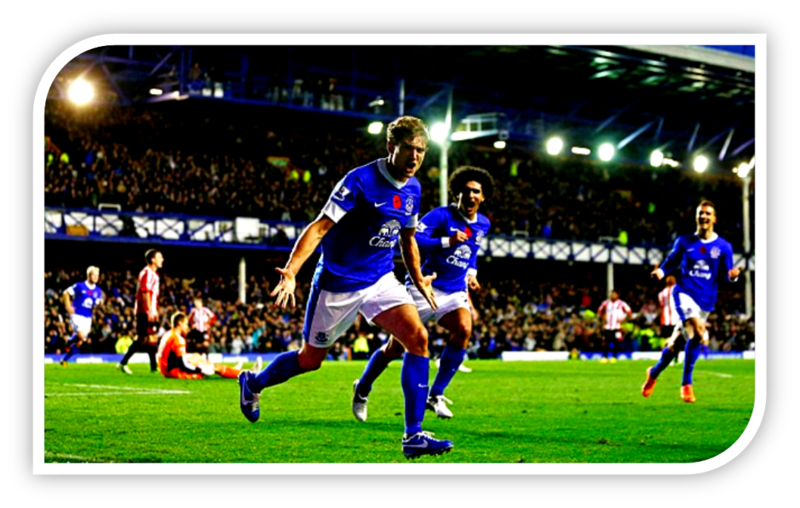 He makes few combinations with fellow midfielders, let alone Fellaini or Jelavic. The difference between Neville’s passing and Hitzlsperger’s couldn’t be more different. The German rarely goes backwards; he even plays the ball to the front two. He looks like he wants to get involved. It looks better on the eye but is it effective? Hitzlsperger has started 4 games in the middle and Everton have lost 2 of them (Reading and Chelsea). We’ve looked to be playing well in both those games but ultimately have been caught on the hop. 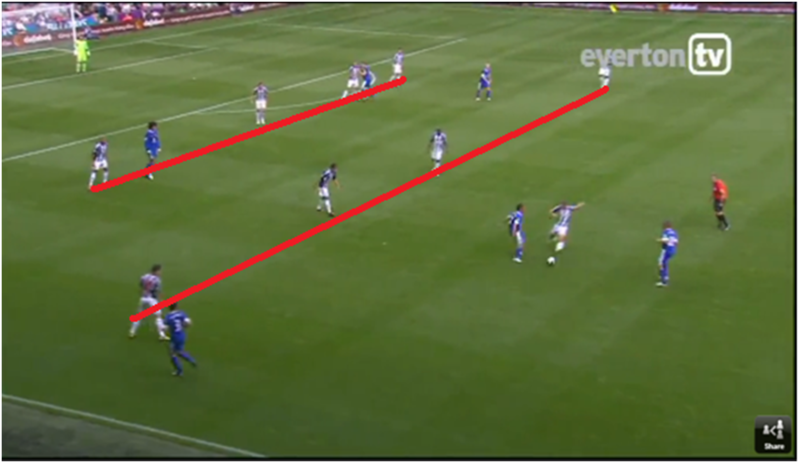 Neville’s midfield game might be simple but the indicators are that it’s more effective for Everton. Per game, Everton take more shots when he plays in midfield, score more goals when he plays in midfield and concede less goals when he plays there too. Neville has started 12 games in midfield this term and we remain unbeaten when he’s in this role. In the Chelsea game, it looks like Moyes sought to rectify the situation by stationing the German on his unnatural right side. 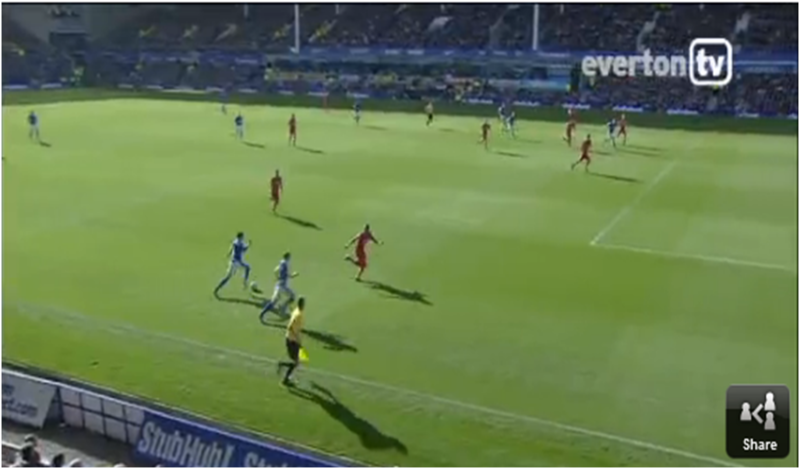 Osman came into his own again, and Everton played well while Hitzlsperger had his quietest game yet. Osman was MoM by some distance, making more passes, interceptions and take-ons than anyone else in the game. Osman has been key to Everton’s good form this season. He makes more tackles and interceptions than his midfield colleagues and has taken more shots too. He also makes more passes than anyone else in the side. Hitzlsperger reduces Osman’s influence plain and simple. 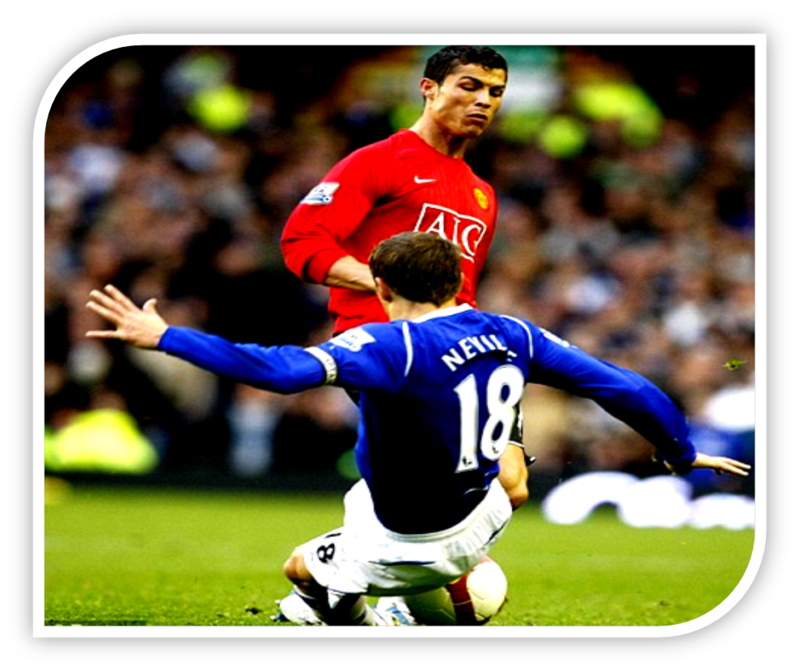 Neville allows Osman to play his game. Hitzlsperger is actually the least accurate midfielder we have passing-wise. He may look vastly superior to Neville on the ball but the fact is he’s giving the ball back to the opposition with nearly 25% of his passes. Even if a safety first Neville lay-back to Jagielka ends up with a lump towards the opposition box, the ball is not lost in a dangerous area and team mates aren’t committed. They’re much more likely to be committed if Hitzlsperger gives it away a lot in the middle of the park. 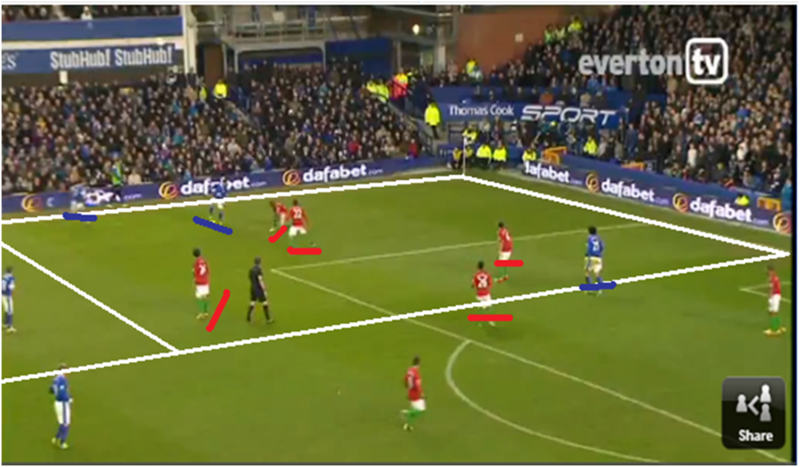 Everton press and push defensively as a unit. The onus is on restricting space and keeping the ball out of danger areas and in the opposition half as much as possible. Our chums across the Park use possession stats as some kind of measure to how well you’re playing and how you should have won the game. Possession better correlates as a defensive tool rather than an attacking one. It denies your opponents the opportunity to hurt you. Not only does Neville keep the ball with his really simple passing range, but as captain and Moyes’s right hand man, he also keeps the shape better. It may not look pretty but the only stats that matter in football are goals – and these come from shots on target. Create these for yourself while denying them to your opponents and you pick up the points. When Neville plays this is what happens. This all may be unfair on Hitzlsperger due to his lack of games, but with Neville, Moyes knows what he’s getting. The manager doesn’t do chance and Everton fans should thank their lucky stars he doesn’t because when you have finances like ours, and a small squad like ours, the odds are always stacked against you. You can follow or send your objections to me on Twitter here. Tactical Deconstruction: Did Swansea tactics nullify our left side? Overall, the Blues had more possession (55.4%) and kept the ball better (82% v 75%) than our visitors. Our pass completion was also better in Swansea’s half although Swansea’s retention was superior in the final third (82% v 76.6%). 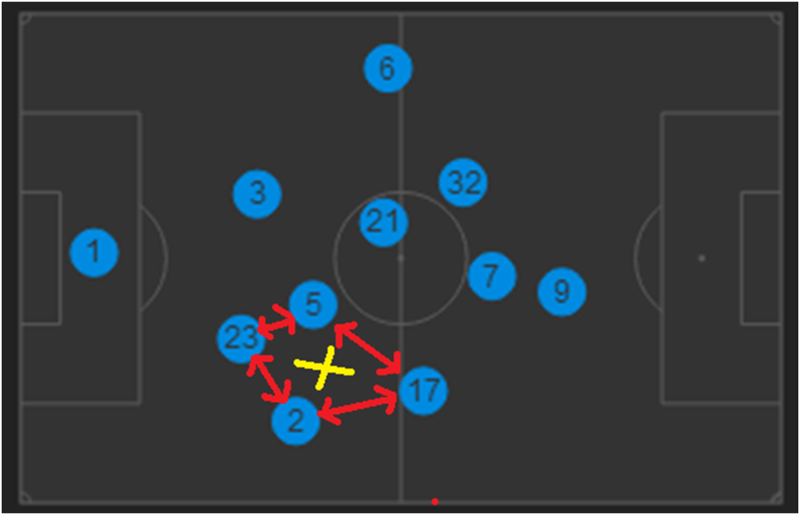 Territory wise, we also bossed things with 56.9% of the game played in Swansea’s half and more than double the amount of touches in Swansea’s final third (278) than they made in our defensive zone (122). The two sides lined up in similar 4-2-3-1 systems with Pienaar for Oviedo the only toffee change from the 5-1 rout at Cheltenham on Monday night. Swansea had a re-shuffle given their cup heroics on Wednesday night, with Dyer playing quite centrally with Michu behind and Hernandez on the left. It was on the right side where most of the tactical stuff happened, with right back Angel Rangel selected in an advanced right sided midfield role with Tiendalli at right back. Rangel’s role was predominantly to pick up Baines and stop his forward surges, as shown below when he picks up Baines in the right back spot. A feature of our game’s this season has been what opposition managers do to counter act the numerical advantage we instigate by overloading down the left side. More reactive tacticians such as Steve Clarke and Portly Rafa have deployed a ‘shuttler’ (Dorrans / Ramires)in the midfield zone to track Baines up and down the pitch – a move similar to that deployed by Moyes regularly on Gareth Bale with two full backs doubling up on their opponent. Other manager’s like Villas-Boas have played attacking players like Lennon to push him back whilst some like Pardew have opted for the ‘hide under the table, close your eyes and hope for the best’ method. Interestingly, two of the three sides who have beaten us WBA and Chelsea have been the ones who have best neutralised the Baines threat. Overall, I’d say overall Rangel provided more cover to his fullback than Hernandez did for him in the game earlier this season at Goodison when the Spaniard was repeatedly over-run. Figures wise, Baines/Pienaar on average create 6 goalscoring chances per game between them whilst yesterday they created 11 so I’d say this approach alone didn’t stifle us as we created enough chances to win the game. Did Swansea ‘park the bus’ ? Firstly, apologies for the bus cliché. We spoke in the preview of how there would be few goals in this contest and so it proved. Swansea’s defensive operation is amongst the best in the division and statistically the best on the road with just 9 goals ‘shipped’ all season. Their approach when not in possession was a ‘stand by’ operation rather than an aggressive one, i.e. they looked to induce the opponent to lose possession through positional play rather than persistently look to win the ball back. When sides line up in similar formation as we did yesterday, the difference is usually which side can ‘shift’ players more effectively to create numerical advantages in certain areas of the pitch. 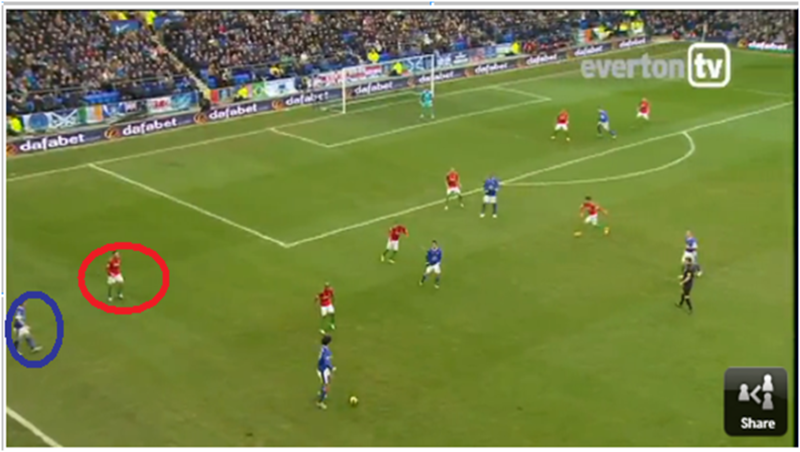 Moyes approach is heavily weighted on such ‘shifts’ , usually down the left side of the final third. Moyes said post match that we passed the ball too slowly; this speed is implicit in developing such situations and catching opponents up-field when their shape is compromised. Due to our movement of the ball being too slow Swansea were able to get back into their shape and outnumber us, as shown in the above visual where they have 5 players to our 3 in the key zoned area we look to exploit. This was a frustrating afternoon for the Toffeemen against a stubborn, compact opponent. Our best chances where from crosses when we could use our aerial advantage, but sadly our finishing was not at its best. On a positive note we secured our first clean sheet since September – incidentally against the same opponent – in what was the first goal-less Goodison draw in 49 games, a run going back to December 2010. With Arsenal losing and Spurs only drawing it hasn’t been a critical setback and with our key rivals facing Chelsea and Man United next week our trip to Southampton could represent an opportunity to see us return to fourth spot. Next up is a home clash with Michael Laudrup’s impressive Swansea side. The Welsh outfit have a bit more variety to their play these days with their trademark short passing game developed with physical players such as Chico and Michu plus more incisive creativity in the shape of key midfield duo Hernandez and De Guzman. We hammered them in the meeting earlier this season when we were on fire and our hosts had something of a cobbled together side but I’d expect this one to be a lot tighter…. 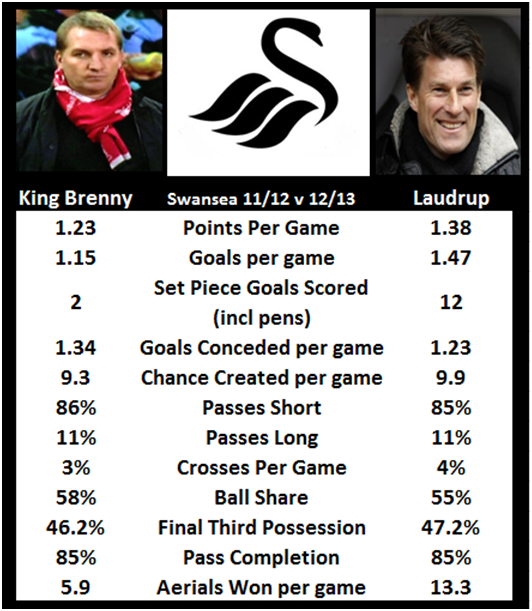 Laudrup has kicked on since the departure of King Brenny in the summer in terms of overall gameplan. Rodgers side were very easy on the eye but they did have limitations in terms of a ‘Plan B’ if their short passing game didn’t work. Their aerials won per game has doubled and the goals they have scored from set pieces has risen dramatically. They have also been very positive on the ball with 61.3% of their passes going forward compared to our 65%. As the table shows, they have achieved better territorial possession in the final third despite overall having less of the ball. They still play a short game with average passing distance 19m compared to our longer 21m. In terms of where they attack, last season the emphasis was on the forwards providing width whereas this season wide men such as Hernandez will play closer to the forward and look to impact play in-field. The bottom line is that goals scored, conceded and points accrued are all better than last season. Earlier on this season we recorded our most comfortable win of the season in a game which also witnessed our last clean sheet. Our approach off the ball was to close down forward passing angles from Swansea and play aggressively high up the pitch and generally stopping them playing through us. As an example, Vorm is noted for being one of, if not the best, distributor of any keeper in the top flight and being the starting point of Swansea attacks with an average pass completion of 79%. Against us it was down to 58%. Our hosts passing tempo was unusually slow. Very few teams have been able to dominate the ball against Swansea, and only on one other occasion since they came up to the top flight have a side had a higher possession total than we did (52%) against them. Swansea couldn’t handle our quick passing tempo which led to constant fouling and subsequent free kicks with a foul committed by the home side every 4 minutes; as a consequence two of our three goals came from dead ball situations. The significant physical advantage we had over our hosts was huge, demonstrated by the fact we also won 60% of the aerial duels. Pienaar in particular was buying fouls for fun and was brought down a massive 7 times, mostly from Angel Rangel who had a shocker although in fairness he was afforded no protection by Hernandez who was hauled off at half time. In goal Vorm is fit again but since his injury Tremmel now appears to be ‘first pick’ and will probably start in goal. In front of him the two centre backs Chico and Williams have both impressed. Chico is a good reader of the game having won the second most interceptions of any defender in the top flight whilst Williams enjoys the physical side a bit more having blocked more shots than anyone in the division. Williams is also more likely to distribute longer from the back having attempted 176 to Chico’s 81 long passes although Chico’s accuracy is better which would hint that opponents are happier to let Williams have the ball. Williams is the more error prone of the duo with 2 of the 5 errors which have led directly to an opponent goal this season coming from Williams to Chico’s 0. In the fullback areas Rangel and Davies have been first choice for the bulk of the season and are likely starters. Rangel is excellent going forward and his link up play with De Guzman and Hernandez was a feature of the most recent league game against villa when the trio were responsible for the most frequent passing combinations in the game down the right side of the pitch. In midfield, the deeper slots have been changed frequently all season and with the fixture pile-up of late it’s tricky to know who will get the nod. De Guzman has been superb with 4 assists and 3 goals and he also likes to drift out wide and cross; he is the third most frequent midfield crosser in the top flight. Usually Laudrup has selected him with either Britton or Sung Yueng whilst Agustien has also appeared a couple of times in this area. In the attacking wide roles it’s also unclear. On the right of midfield, Ex Valencia man Hernandez has the best accuracy in the top flight for through balls, has four assists and is ranked 12th in the top flight for most chances created per game. Routledge will probably be deployed down the left. 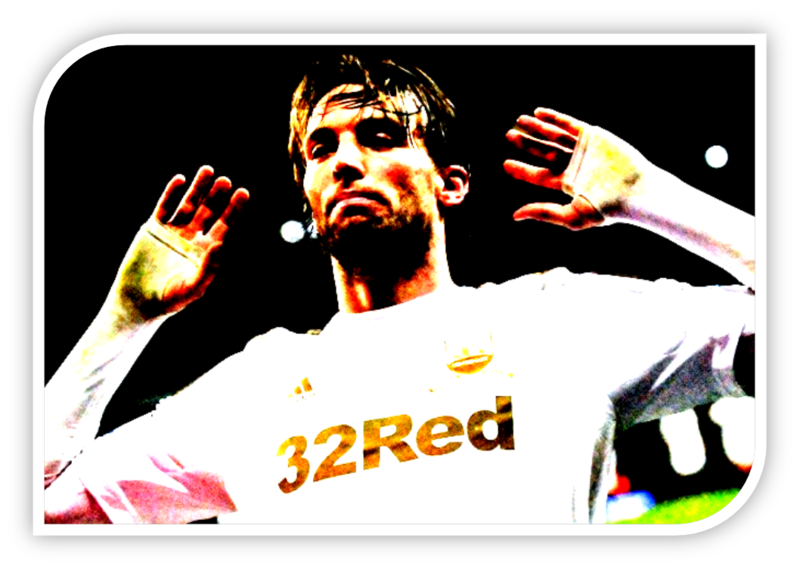 Michu has struggled with injury in recent weeks but has still looked lethal when on the pitch. The bulk of the goals so far have come from his left foot and head so dealing with crossing situations and keeping him on his right foot will be crucial. In form Graham will most probably start as number nine if Michu is played at ten. There are certainly exploitable weaknesses in Swansea’s defensive armoury that we can take advantage of. The strengths of Chico and Williams in terms of interceptions and blocks was made earlier on, however both are better on the floor than in the air. Anyone who watched the Rumbelows Cup semi-final in midweek will note that Chelsea looked considerably more threatening in the 15 minute spell they had the physical option of Ba who was able to push the Swans defensive line backwards. Ba forced more opportunities in his short spell on the pitch than Torres did before him so I’d expect us to hit Jelavic and Fellaini as early as possible. On the flanks, Swansea’s right side is fluid going forward but is exploitable defensively. Hernandez is more concerned with his attacking role and plays high up the pitch, offering little protection to Rangel who himself is something of a maverick who prefers forward marauding over the mundane defensive duties. 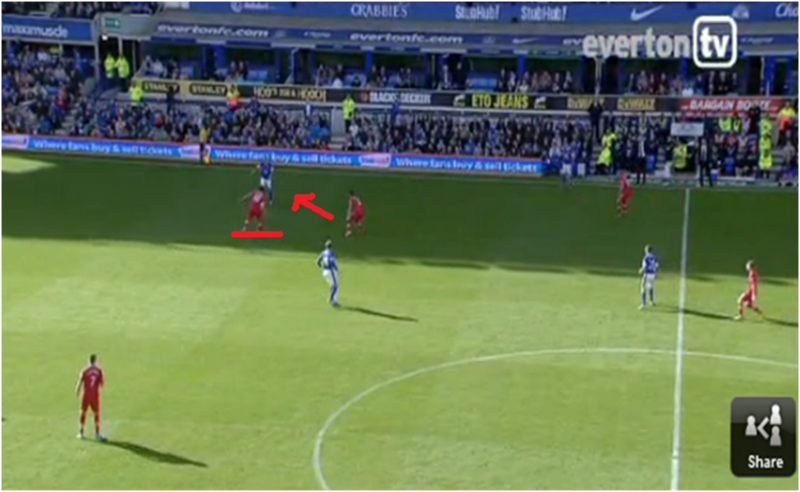 For this reason I’d fancy our chances of 2 v 1 situations in this area of the pitch. Selection wise, with ‘first picks’ Gibson and Mirallas still out there is limited options to change things so I’d expect the same side that beat Cheltenham with Anichebe deployed on the right wing but given the amount of time we play down the left he will invariably come infield as a supporting forward when we are in possession. Don’t be surprised if Heitinga gets a start though; the Dutchman was a surprise selection against Swansea earlier on this season and given his better qualities such as interceptions / long range delivery, Swansea is perhaps the most ideal opponent for him in the top flight. Form wise, the Swans have won more games on the road than at home and have the best defensive record on the road in the top flight with their last 8 away games yielding the fewest goals for/against in the division so don’t expect goals galore in this one. Like us, they have recouped numerous points from losing situations and score predominantly in the second half of games (67.7%). With us scoring more frequently in the first half of games (57%) the everton half time/ draw full time market is likely to attract interest. Most punters will now be aware that we have now scored in their last 18 top flight games & conceded in the last 16, both the longest runs of the season so the both teams to score market is a good option. This will be a big test for the Toffees but given the Swans exhausting cup clashes in the last week against Arsenal and Chelsea and the fact that we have only come up against lower league opposition in that time you would fancy the extra energy levels and preparation would give us a significant advantage in what is a crucial game.